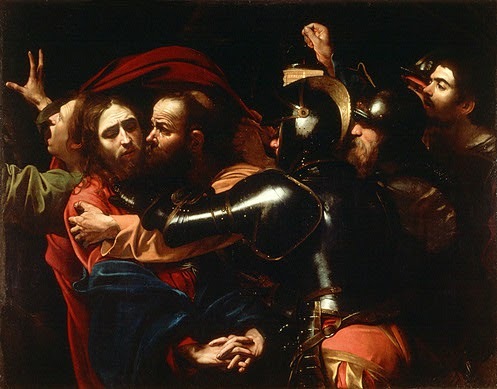 Caravaggio was recently featured as Book of the Month for March at Professor Owl's Book Corner, and received a review in BC BookWorld in its Spring 2015 issue (p. 28). Take a look! [Mark David Smith] has much to share, and does it in a way that allows us a clear look at a complex artist and his work, while never overpowering his story with too much information. We come away from the reading with knowledge of a life very different from our own, knowing a great deal more about the customs of Italy so long ago, and with elegant quotations we might add to our own gathering list. Please visit her blog, and read the full review. While you're there, check out her other reviews as well. She reviews books for children of all ages. Congratulations to fellow CWILL members Elizabeth Stewart, Maggie DeVries, Eileen Kernaghan, Becky Citra, Chieri Uegaki, Ashley Spires, Caroline Adderson, Heather Tekavec, and fellow Tradewind Books authors Roy and Slavia Miki on being shortlisted for the BC Book Prizes. Winners will be announced on April 25, 2015. I had the honour of hosting the Burnaby School District's Public Speaking Competition this evening. Wow. The talent and maturity of these 8 seventh-grade finalists was astonishing. Zuzanna Liniewski, pictured below, won with a speech about being different (the theme was "Let's Think Differently") which was as candid as it was lyrical. An absolute pleasure to listen to. Each of the finalists and judges received a copy of my book, courtesy of the District. 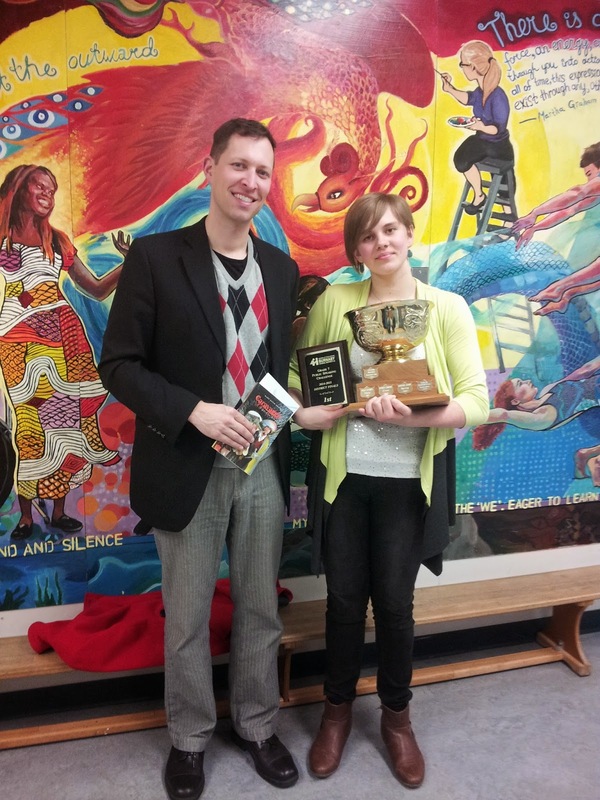 Congratulations to you, Zuzanna, and to all the other finalists. 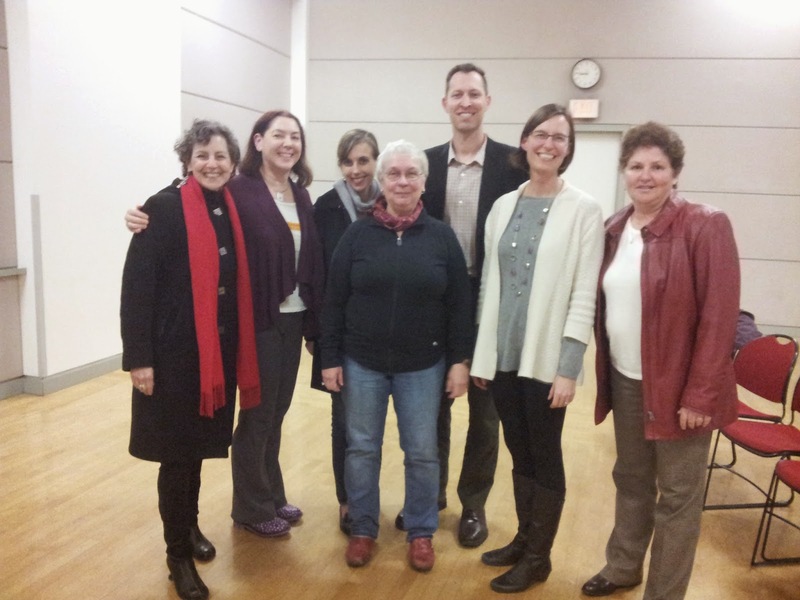 I had a great time meeting with some of my fellow CWILL authors at the VPL's panel discussion on Writing and Illustrating Children's Books. We shared our experiences on entering the world of writing and publishing for children, and it was educational for me to learn from the diverse expertise among the panel members. Want to read some fine books? Check out each author's website below.